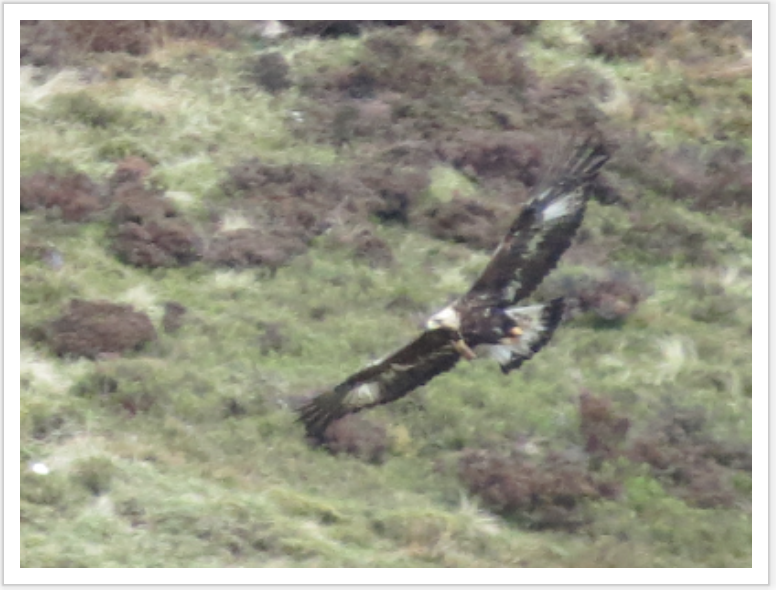 Angus eagle with tag visible below the neck. Reactions to Friday's media story make it apparent that those presently in ownership of satellite tags aim to resist calls for them to be deployed in a more transparent and accountable way and to have them monitored independently. It can perhaps be understood why such transparency may be resisted. Tag ownership provides those deploying it with publicity and political leverage, without the requirement of a standard of evidence normally expected for accusations of criminality. For avoidance of doubt the SGA will never refrain from calling for greater accountability over the use of sat tags and independent monitoring of what they show. Satellite tags can, when used in a collaborative manner and with appropriate data sharing/ownership arrangements, offer useful conservation benefits and insights. The SGA is not advocating stopping using them. However, as an organisation, the SGA believes they are now being deployed for a very different reason. The organisation also believes that the statistical significance of tag failures, re-appearances of tagged birds, the number of birds and tags that are not recovered even when no criminality is suspected (a quarter of the 'suspicious tags' in SNH's satellite tagged eagle report were recorded away from grouse moors yet these tags were never found) makes the case robust for independent analysis of what they are telling us. There is a need for evidence, not interpretations of evidence, particularly when countryside matters can be divisive with often conflicting interests. It is also concerning that SNH holds no data from the many tags currently in operation. The SGA will not stop calling for accountability and transparency, therefore, because it believes it is right and reasonable to do so. The SGA made it clear that, if greater transparency means a greater ability and likelihood of bringing criminal cases to court, then that openness should be in the interests of all seeking to tackle wildlife crime. Authorities must decide, going forward, whether they regard this to be of value. Below is testimony of a gamekeeper from one of the estates questioned over the loss of transmission from the tag of the Hen Harrier reported as missing in Angus, as referenced in the original SGA story on Friday 25th January. Until recent communication, local estates have had the burden of criminal suspicion hanging over them. "When the story came out, the Police came to the estate and said what had happened with the tag stopping. I offered to get a team to help with the search. We were told that wouldn't be necessary. I was then told we would hear what was happening, probably by the end of the week. That didn't happen. I called the Police 7 or 8 times afterwards to see what the latest was but never got an answer or a call back. "It was only when the Police came back to ask about something else that I got a chance to ask about the missing Hen Harrier. I was told 'oh, that pinged back up again and re-appeared'. The understanding was that the bird had been spotted in North Perthshire. When the gamekeeper in question asked why no one had told him this before and why something had not been put in the paper to clarify that point, he was told that it was not the role of the Police to do so. Update: Attempts by a blog (with the sole aim of banning grouse shooting) to undermine the veracity of the SGA's stance on satellite tags fail to address the simple, key issue of accountability and transparency which would clear up the many issues regarding tags. This morning, Police Scotland acknowledged in communications with a freelance journalist that the reasons for the loss of submission from the tag fitted to the Hen Harrier in question remains unexplained; the classification for this stemming from an acknowledgement within Police Scotland that there can be a number of reasons why tags lose transmission.